Lately, there's been plenty of chatter about COLLAGEN supplements and why it should or should not be consumed. So I decided to research and try it for myself. This is a sponsored post, containing affiliate links, written by me and includes my personal opinion and experiences with Great Lakes Gelatin. Collagen is the most abundant protein in our bodies. It’s found in muscles, bones, skin, blood vessels, digestive system and tendons. As we age, collagen production declines! Increasing collagen levels can help your skin look firmer, increase smoothness, and help your skin cells keep renewing and repairing normally. Collagen protein is also the building block of healthy fingernails, hair and teeth. Adding collagen to your diet regimen can help keep nails strong and reverse signs of hair loss. Heals the gut – helps heal your gut which is good for people with food sensitivities like Candida or any autoimmune issues. Promotes Weight loss – this is because collagen is a protein. It keeps you full and satiates your hunger. It also helps your body stabilize blood sugar levels. Helps with joint pain, inflammation and stiffness. Helps promote energy and focus. I like to think of collagen as an enhancer for my hair, skin, and nails, that supports growth. 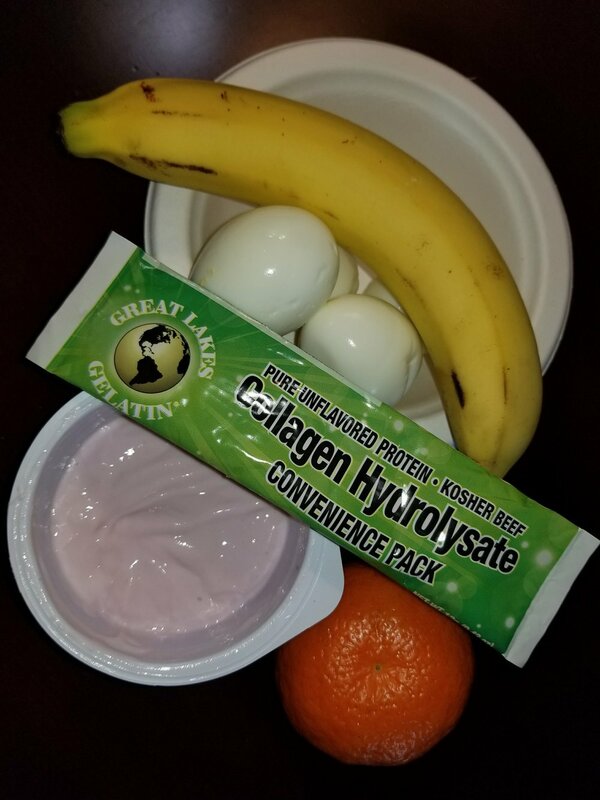 I've been using the Great Lakes Gelatin Collagen Hydrolysate products for about 2 months, and I've already noticed significant growth in my hair and nails, my skin is brighter and feels firmer and softer, and I have more energy and mental focus. I'm very active and I really love to workout. Which means that my muscles and joints suffer from stiffness after exercise, especially in the mornings. Because I don’t stretch enough (I'm working to add for flexibility and stretching to my fitness life), I realize that I need to be extra proactive at increasing collagen for the health of my muscles and joints. Using collagen can help keep your flexibility and prevent the muscles and joints from stiffening up due to a lack of collagen. Collagen itself is a naturally occurring protein found in our connective tissues. I also noticed that I stayed fuller longer. Collagen is a protein, and since two scoops of collagen equals around 20g of protein adding it to my morning tea or my mid morning snack, helped to keep me fuller for longer periods of time. What makes collagen cool compared to other protein powders, though, is its versatility. It's flavorless and completely dissolves in liquids. HOW DO I USE IT? The sky is really the limit. I use it consistently by putting it into my tea and coffee every day. Why? Because it’s completely tasteless and dissolves very easy. Here are some other FUN ways I've added it to foods and drinks. Life with Great Lakes Gelatin Collagen Hydrolysate has been awesome and I'm planning to continue regular usage. If you wanna learn more about #GLGtheOriginalCollagen and add products to your healthy living journey?